“Humans of Irish America” – Jackson’s Story (Kerry). Left to Right: Meerkats, bloke. “I was kicked out of home when I was 43, as both my parents were allergic to my pets. I’d eleven meerkats and an otter, and they didn’t really get along too well. Plus, I’d christened them all ‘mammy’, except the otter, her name was Graham, so, there was some confusion at times. 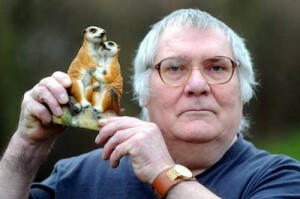 The smell was disgusting too, before I even got the pets, I think that’s why the meerkats all ran off. When I emigrated to Miami, I left all that shite behind me, and became a securities trader”. – Jackson (61), Tralee, now Miami. ← ‘Humans of Irish America’ – Stuart’s Story (Limerick).